The Original Endurant Turf Colorant is the authentically vibrant green grass organic pigment made with binders chosen specifically for excellent adherence to turfgrass. This ensures the color remains full and rich, providing a natural looking green that is consistent and long-lasting. Its visual appeal is unmatched by any other brand on the market. It is suitable for use over a wide range including, but not limited to: golf courses tees, greens and fairways, athletic parks, common areas and lawns. The elimination of the significant cost associated with overseeding has made painting dormant warm season grasses a more viable option than ever before. The reduction of chemical use, a decrease in watering, and the promise of fewer transition related problems have combined to make this management strategy increasingly appealing for both financial and agronomic reasons. Endurant Premium is an eye-popping, lively green colorant bringing even the thickest lawns and taller grasses to life with a deep green ultra-concentration of the Original blend of organic pigments. This ensures the color remains full and rich, providing a natural looking green that is consistent and long-lasting. Its visual appeal is unmatched by any other brand on the market. It is suitable for use over a wide range including, but not limited to: golf courses tees, greens and fairways, athletic parks, common areas and lawns. The elimination of the significant cost associated with overseeding has made painting dormant warm season grasses a more viable option than ever before. The reduction of chemical use, a decrease in watering, and the promise of fewer transition related problems have combined to make this management strategy increasingly appealing for both financial and agronomic reasons. Endurant Turf Enhancer is a springtime green intended for use during the seasonal transition as the approaching dormancy conditions occur, providing a natural-looking green associated with actively growing healthy turf. Its visual appeal is unmatched by any other colorant, staying consistent with the superior colors, quality and value associated with the Endurant Turf Colorants line. Apply Endurant TE at a rate of 8-24 oz per acre. Increase or decrease rate to achieve desired color depth. Turf conditions, equipment calibration and depth of color causes coverage rates to vary. Allow product to fully disperse into agitation following standard order of addition regarding pesticides, fungicides and fertilizers. Clean tank with water and/or tank cleaner according to pesticide manufacturer instructions if applicable. Endurant PR offers the gorgeous dark green reminiscent of looking over the famous golf courses of Augusta, GA with a concentrated blend of organic pigments and binders for excellent adherence to turfgrass with a color made to match the deep saturated green of Perennial Rye. This ensures the color remains full and rich, providing a natural looking green that is consistent and long-lasting. Its visual appeal is unmatched by any other brand on the market. It is suitable for use over a wide range including, but not limited to: golf courses tees, greens and fairways, athletic parks, common areas and lawns. The elimination of the significant cost associated with overseeding has made painting dormant warm season grasses a more viable option than ever before. The reduction of chemical use, a decrease in watering, and the promise of fewer transition related problems have combined to make this management strategy increasingly appealing for both financial and agronomic reasons. Endurant FW is the deepest green with a lush forest color that keeps all eyes on the fairway with a high concentrated blend of organic pigments and binders for excellent adherence to turf grass. This ensures the color remains full and rich, providing a natural looking green that is consistent and long-lasting. Its visual appeal is unmatched by any other brand on the market. It is suitable for use over a wide range including, but not limited to: golf courses tees, greens and fairways, athletic parks, common areas and lawns. The elimination of the significant cost associated with overseeding has made painting dormant warm season grasses a more viable option than ever before. The reduction of chemical use, a decrease in watering, and the promise of fewer transition related problems have combined to make this management strategy increasingly appealing for both financial and agronomic reason. 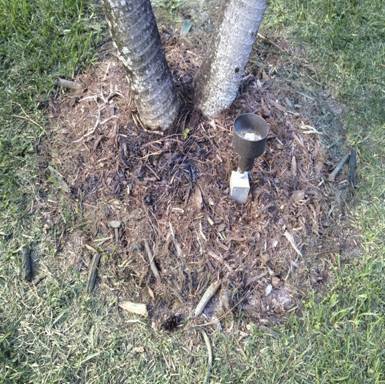 Buy NowINSTANTLY TURN FADED MULCH OR PINE STRAW FRESH AND NEWEndurant Mulch Colorant is a liquid pigment, available in four colors, which instantly and inexpensively enhances a landscape’s appearance, refreshing existing faded installations with an unlimited range of shades. An additional benefit of the on-site coloring is the elimination of the significant up charges associated with purchasing colored mulches, which means this product will immediately begin paying for itself.Over time any ground cover’s color will fade due to exposure to sun light. 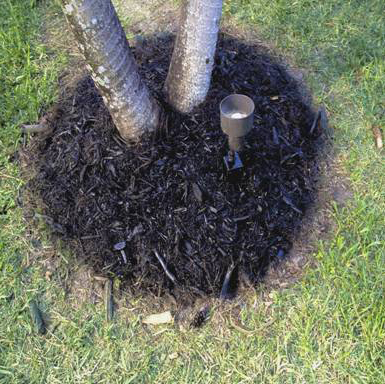 Whether the choice is made to bring in new or go over the top of the existing material, ENDURANT Mulch Colorants allow the user to easily get the desired shade of black, brown, red or pine straw without any specialized equipment. The application process is simple, which allows users to easily achieve a professional look while avoiding the cost and effort spreading additional materials. Results are long-lasting, and best of all the all natural product will not harm the environment. Available Colors: Black, Brown, Red and Pine Straw Mix Ratio: 8 oz of concentrate per gallon of water Shake well before use.